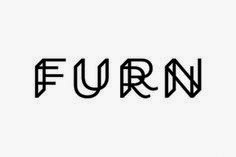 I began with the logo, and started looking for fashion forward typefaces which could be used for the logo. These can be seen on the image below, down the righthand side. 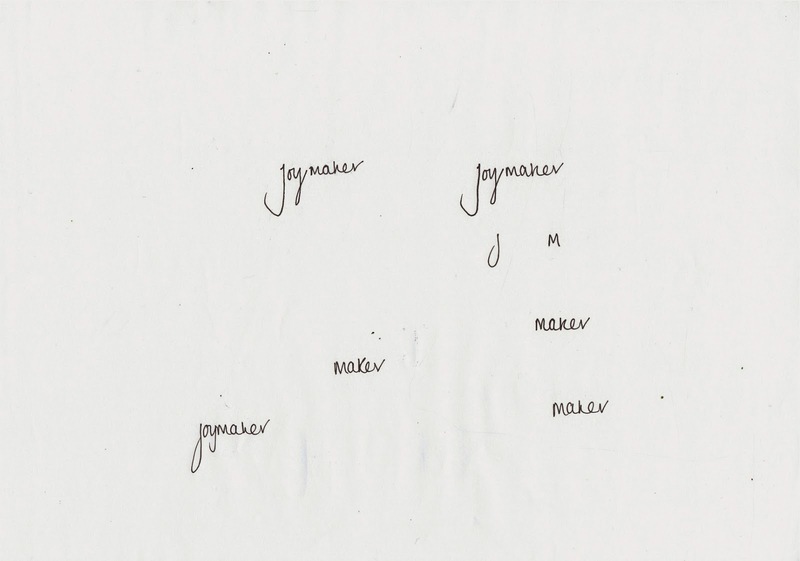 I also began doodling the word 'Joymaker' and had a 'happy accident' with the one below which is boxed off. 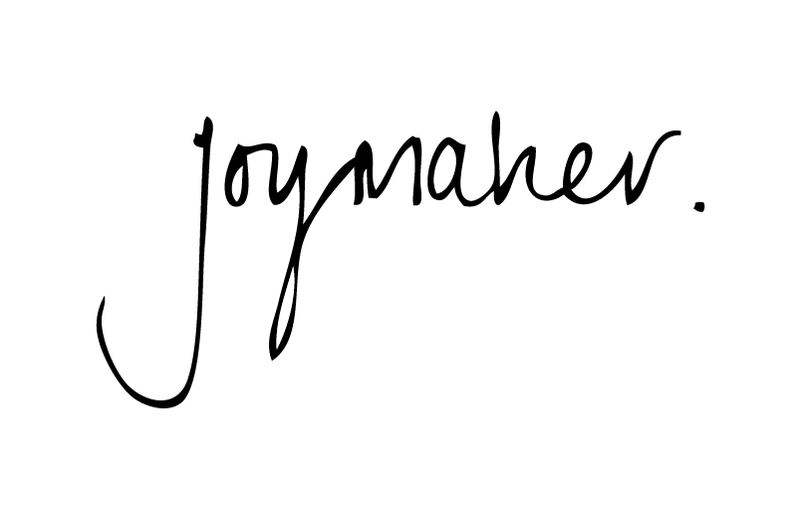 I really liked the 'joy' of this, and wanted to develop this as an idea too showcasing a totally unexpected logo design. 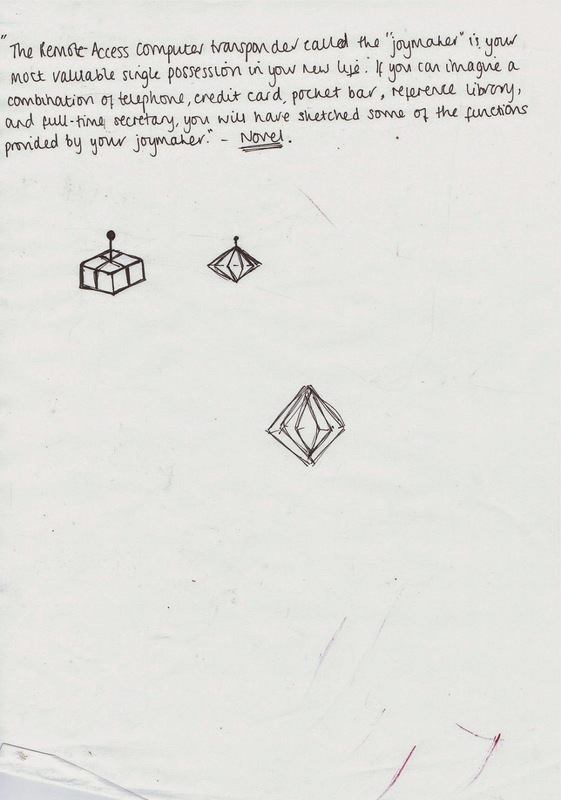 I also began drawing diamonds, and space control style boxes which could represent the 'joymaker' however fear this won't be right for the brand. As I am unsure on which way to take the logo designs and develop them, I wanted to create 5/6 different ideas which can be sent to Claire, reviewed and sent back with an indication of what sort of style, typeface, size, aesthetic, tone etc she feels it should be. I felt this was the best way to get direction when my client hasn't come to me which a specific idea. On the plus side of this, I feel it shows I can be trusted with the design of the logo, so stepping outside of my comfort zone a little, I am going to give it a good go. 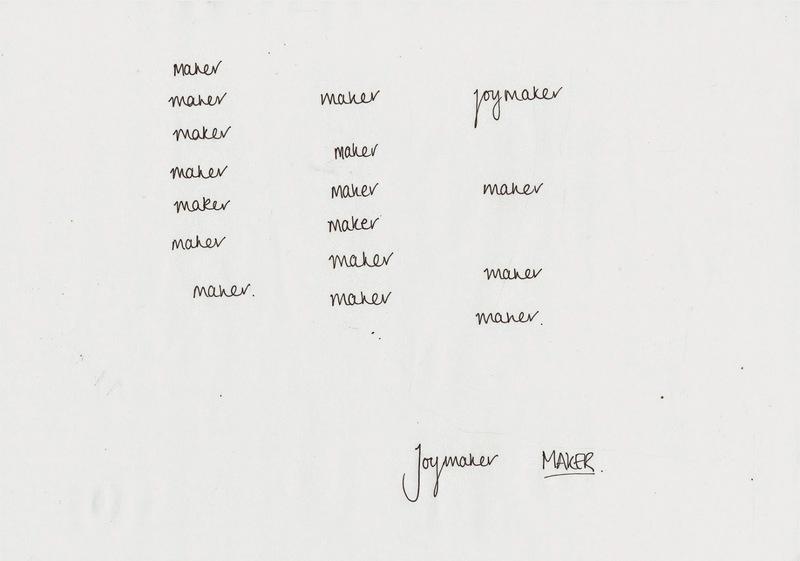 Above: Further Developments of the handwritten 'Joymaker'. Below: shows the diamond/controller shape I initially thought of. This was scanned in and developed further digitally. Page 1: Shows 6 different initial ideas which were quickly drawn up to show different tones of voice and aesthetic. The designs are varied from obvious high fashion using Bodoni and a more SCI-FI style using Futura. 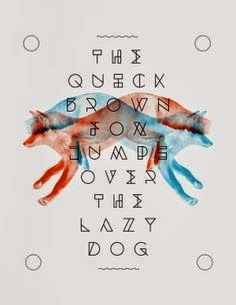 The font Aquus has also been used to show a more quirky, sciency, vibe also reminiscent of the name. I do fear that the brand could be misinterpreted though if this direction was chosen and not executed well. Page 2/3: I emailed these initial logos to Claire for her initial thoughts and feedback, and she said she stated the bottom left design. 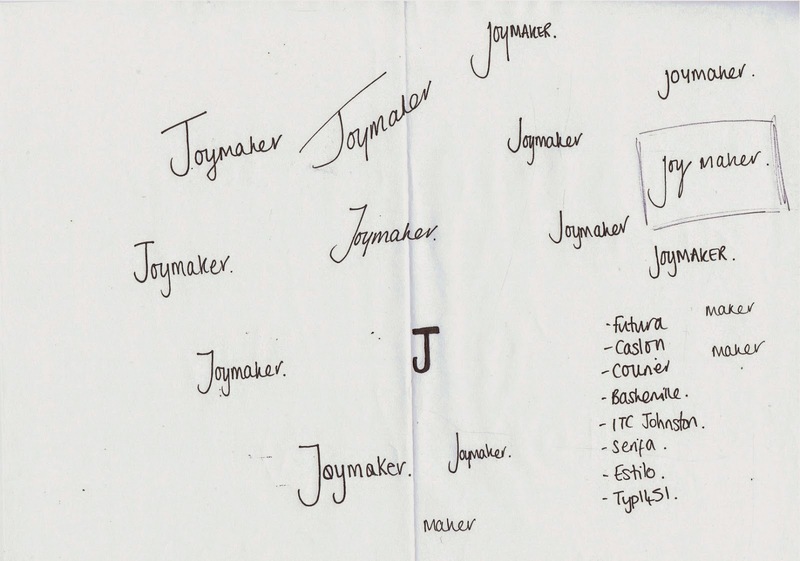 I decided to develop the concept of a diamond reflecting 'joy' in the name, (seen on 2nd page) however, when I asked students in the class for feedback (Bobby, Beth, Tristan, Sam C) each individually stated it reminded them of a jewellers. I did have to agree and came up with a softer alternate with the hand rendered logo which parts of can be seen above. Page 4/5: Hand rendered logo and Variations. I feel this is much softer and says fashion without using an obvious font, or illustrations. Claire liked this initially and then reverted back to her initial thoughts. 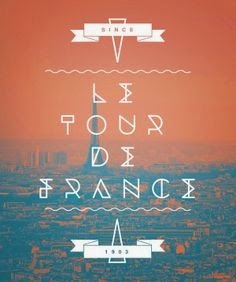 She asked if I could try to work with triangles as used in the Aquus font, creating more of a 'hip' aesthetic if you like. I don't feel comfortable with this aesthetic, and don't usually work with this type of design, however I am happy to experiment and see what comes out of it. Below shows the hand rendered logo in comparison to a much sharper, triangular logo drawn using illustrator, as well as a customised Bodoni style typeface. This gave 3 possible directions to be worked on more and shown to Claire. I am currently waiting for feedback so the idea process can move on and be developed. I have recommended that the logo remain simple, clear and relevant for both a male and female audience, saying 'fashion' with professionally.